In the startup world, venture capital is often viewed as the penultimate goal, yet for many startups bootstrapping is often the reality. And self-financing puts the emphasis on business credit. If you’re a small business owner, navigating the lending world today can feel like one big Catch-22 loop. Traditional lenders and commercial banks are typically reluctant to loosen their purse strings until you’ve proven yourself with a strong credit history. But that begs the question: how can you develop a good record when no one will lend to you in the first place? For this reason, many small business owners lean on their personal credit to fund their business. However, this means that your mortgage, auto loan, and personal credit cards will affect your ability to qualify for a business loan and for how much. 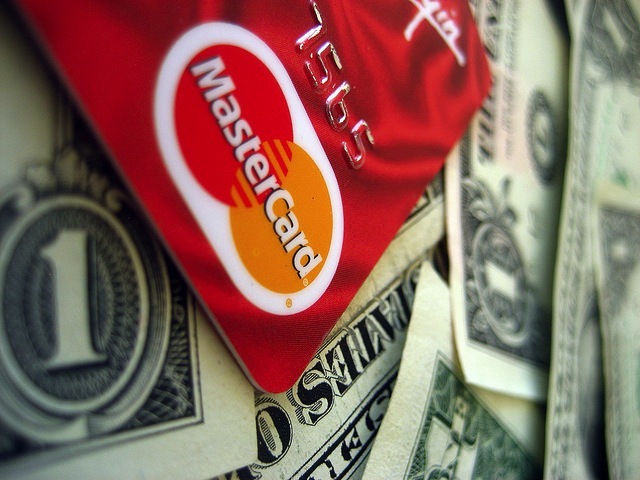 Using business credit separates your personal accounts from that of the business. Your business credit is dependent on your company’s payment history, assets, cash flow, and other financials. It doesn’t include your personal debts or other personal financial obligations. It’s important to realize that a sole proprietor can’t apply for a business loan or business credit; sole proprietors can only get personal loans, whether they need that money to hire a software developer or buy a new car for personal use. In order to receive a business loan or investment, you need to separate the business from your personal finances and this means setting up a legal business entity such as a corporation (C Corporation or S Corporation) or LLC. Your CPA can advise you on the best legal structure for your particular situation, as your choice in entity can have some pretty significant implications on your taxes. Just like each individual has a social security number, every business must have a tax ID number (also called the EIN). This is a nine-digit number assigned by the IRS to business entities operating in the U.S. You’ll use this number to open your business bank account and it’s the basis for building your business credit profile. You can apply for your business’ EIN online through the IRS site ⎯ it’s fast, simple, and free. In order to build credit, your business will need at least one bank reference. Ideally, your bank account will be at least two years old if you need to apply for a loan. For this reason, it’s smart to apply for a business bank account as early into the life of your business as possible. It’s also critical that your business bank account reflects a cash flow (i.e. average daily balance) that’s capable of taking on the level of business debt you’re seeking. Dun & Bradstreet (D&B) is one of the main business credit bureaus and runs its own business credit score. D&B gives your business a separate credit file number (known as a D&B or DUNS number) that rates your credit profile. The number is how lenders will determine your business’ creditworthiness; most business credit card and lending companies will ask for your D&B number during the application process. The first step is to go toto find out if your business is already listed and has a score. If not, you can begin the process by applying for a free DUNS number, once you’ve established your business entity and have your EIN. Just like with your personal credit score, the more vendors that report a good payment history, the better your business credit will be. Check if your trade vendors are reporting your payment history to one of the major reporting companies, like D&B. Often times, smaller vendors won’t be reporting your payment history to D&B. In this case, you should compile a trade reference sheet with at least three trade references (include their name, contact information, and credit limits) to augment your official business credit report. While opening new credit cards isn’t always advisable, you should consider opening a credit card in the name of the business and use it wisely. This means keeping your balance low and always making your payment on time. Failing to file your business taxes can mean your business is not in compliance. And this will have a negative effect on your business credit. As a step toward building business credit, be sure to file tax reports for your business, and pay what you owe when you owe it. If you’ve gotten yourself into a particularly sticky situation tax-wise, it’s smart to seek advice from tax experts who specialize in small businesses. While the whole point of establishing business credit is to separate your business and personal activities, your personal credit will still come into play. If you’re a relatively new or small company, don’t be surprised when creditors want to look at your personal credit (or the personal credit of any shareholders with more than 20% ownership of the company). In today’s lending environment, you should expect to be asked to sign a personal guarantee on any kind of loan or credit of the business (this isn’t always mandatory, but it has become common practice in the lending industry nowadays). As a result, anyone with a 20% share in the company should keep a close eye on their own credit rating. The most important thing to remember is that you can’t build business credit over night. Savvy business owners should be thinking about their business credit from day one. Even if you don’t need a loan right now, you never know what challenges or growth opportunities will develop down the road. Having access to credit can help you adapt to changing conditions and position your startup for success. Want more tips, stories and advice from fellow entrepreneurs? We’ve got that for you.